The man wasn’t wrong, frankly. With Christopher Nolan’s Batman films, Zimmer has skillfully provided muscular and dramatic scores anchored on an minimal two-note core motif, that was markedly different – but no less vivid and effective – than Danny Elfman’s memorably baroque music for Tim Burton’s 1989 film, the main theme of which was adopted for Batman’s excellent and highly influential 90’s animated iteration. Yet, the fact of the matter is that Batman has never had a musical signature as flawless as the one John Williams crafted for Richard Donner’s seminal Superman: The Movie in 1978. With it’s wondrous three-note horn fanfare that seemingly proclaims the character’s name (“Su-per-MAN..!”), Williams’ Main Theme – also known as The Superman March – captured the character’s core traits of heroism, wonder, nobility and patriotism with such unerring precision and success that it quickly grew in pop cultural stature to the degree that it is arguably aligned with every version of Superman, not just the beloved Christopher Reeve iteration it was written for. 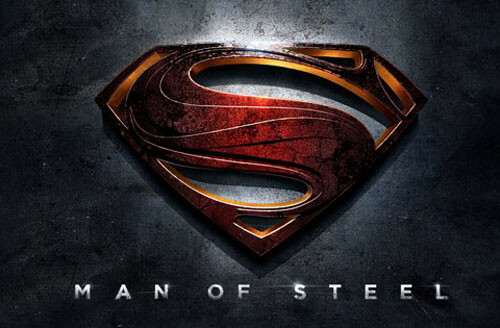 When the composer John Ottman came to score 2006’s Superman Returns, one was left with the distinct impression that he utilised Williams’ core themes not merely because the film was a tacit sequel to Donner’s film, but more that its presence was expected – and that, probably, he too knew that attempting to better it was a fool’s errand. All of which is not to say that Superman’s newest screen incarnation could not or should not have a new musical voice – it’s just that Zimmer is a mildly disappointing choice for the task. Hence the sense of tedious inevitability: for nigh on twenty years, Zimmer has been a pre-eminent name in blockbuster film scoring, his vast sucess consolidated by the fact that a great many of his proteges dutifully – nay, slavishly – adopt his stylistic approaches, resulting in much of Hollywood’s summer output now having a generic sound (big percussion, choirs, vast horn sections etc, etc). Aside from the fact that Man of Steel’s executive producer is Zimmer’s Batman collaborator Nolan, ensuring Zimmer immediately sprang to mind when considering the Superman score, it’s certainly likely that Warner Brothers were only too happy with the choice. After all, Zimmer is a very safe pair of hands in this regard. Anyone who is very familiar with Zimmer’s career will be aware that he is undoubtedly capable of great diversity – listen to the likes of Hannibal or The Holiday – and he’s certainly got not shortage of innovative ideas (Inception a notable recent example), but there is something dreadfully rote these days about the bulk of his mainstream work (Pirates of The Caribbean, anyone?). Add to this the fact that the Zimmer sound is so very pervasive now, there’s a distinct sense of “if it ain’t broke, don’t fix it” – and it would disappointing to see Superman succumb to that. Personally, I was hoping the gig would go to a fresher name like Michael Giacchino, whose Star Trek score was a fine example of taking an established and beloved musical identity and giving it a fulsome new sheen that harkened back to the franchise’s action adventure roots. Another good choice would have been Henry Jackman, who, like Giacchino, places an accent on the epic orchestral sound.